RINGING IN THE YEAR WITH…HOGMANAY? I was reading about how Americans celebrate the holidays the other day, expecting to have my cockles warmed. Instead, I ended up with just the slightest amount of indigestion. All I can say is, people are very strange. We’ve moved a long way from Grandma baking cookies and Dad reading “The Night Before Christmas”. I learned about pickle Christmas trees, binge-watching COPS one night of Hanukkah, and farting contests on Christmas Eve. Really. It got so weird that when I read about one family that left cookies and rum for Santa I thought of them as the most reasonable people in the article. So I skipped over the American customs (or as I came to call them, “White Trash Traditions“) and commenced reading about holiday celebrations around the world. In comparison to the U.S., they were pretty tame – not a farting contest among them. 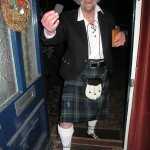 But then I stumbled on a tradition I’d never heard of – Hogmanay. It is the Scottish word for “last day of the year”. How could I not have heard of this? My father-in-law was born and raised in Glasgow. I checked with my husband. Nope, he’d never heard of it either. So I thought it was completely bogus until I did some further research. I’ll say one thing after boning up on Hogmanay- those Scots know how to celebrate. So in case you need a bit of inspiration for your New Year’s Eve, here is everything you need to know about hosting your own Hogmanay celebration. First (and it may already be too late for some of you) Christmas is marked by a very sedate family get-together and is a time for reflection and prayer. Then December 31 rolls around all hell breaks loose. 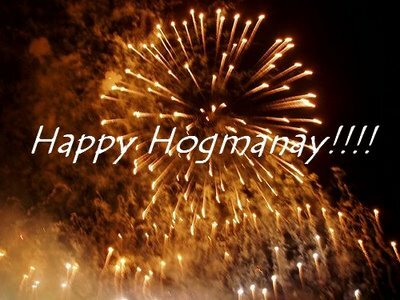 Hogmanay is marked by a loud, joyous occasion celebrating the birth of a new year. An important element of Hogmanay celebrations is to welcome friends and strangers to your home, with warm hospitality and, of course, a kiss to wish everyone a ‘Guid New Year’. ‘Auld Lang Syne’ is sung to celebrate the start of the New Year at the stroke of midnight. The underlying belief is to clear out the vestiges of the old year, have a clean break and welcome in a young New Year on a happy note. So far, I’m really liking this Hogmanay thing. One of the most important traditions of Hogmanay is called First-Footing. Once midnight strikes and the calendar flips to January 1st, all eyes await the arrival of the year’s first visitor. The person who crosses the home’s threshold first is said to be a predictor of good fortune in the year ahead. To ensure good luck, a first footer should be a dark-haired male (think George Clooney). Fair-haired first footers were not particularly welcome after the Viking invasions of ancient times (just ask Tiger Woods about Elin Nordegren). To “first foot” a household empty-handed is considered grossly discourteous, and VERY unlucky. Traditional gifts include a lump of coal to lovingly place on the host’s fire, along with shortbread, a black bun and whisky to toast to a Happy New Year. Other than the whiskey it all seems a bit dodgy and frankly, like something was grabbed at the last-minute. But who is to judge? We’ve all had to raid the pantry for a last-minute hostess gift and I guess a black bun is as good as anything provided that the “black” isn’t due to mold. I must say however, that this list of gifts does nothing to improve the Scots’ reputation for being cheap. 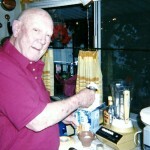 My brother Bob adds an egg so the white adds some froth, brother Jack doesn’t add an egg. Personally, I’d add it just because you can then claim it’s a protein drink. Just blend for a couple of minutes, and voila!, you have a nectar from the gods. And for those of you who don’t like gin, please don’t turn up your nose. Believe me, the ice cream masks the flavor. You will want to bathe in this stuff. 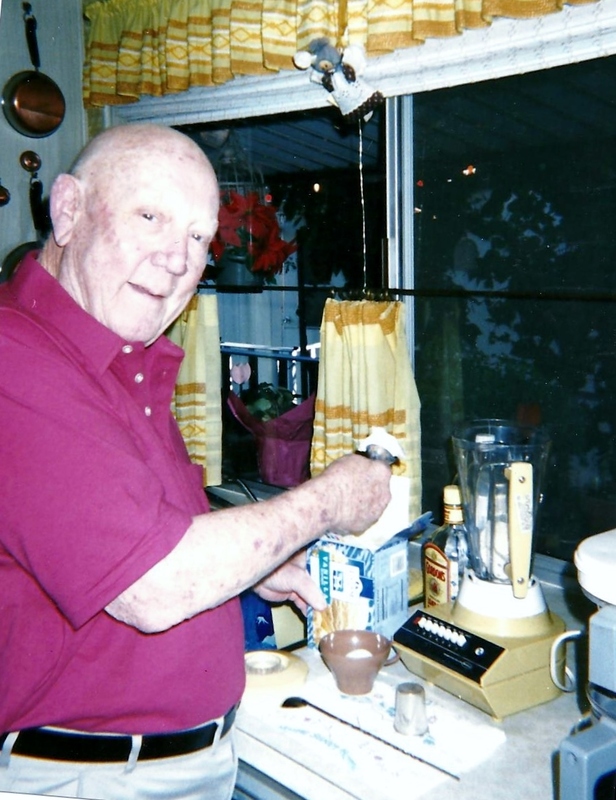 So as the year ends, whether you celebrate with Hogmanay or Pop’s Ice Cream Fizz, my brother Bob and I wish you and your family a very happy and healthy New Year. I always learn something from your blog…now I’ll look for Hogmanay in the next Ian Rankin novel I read. 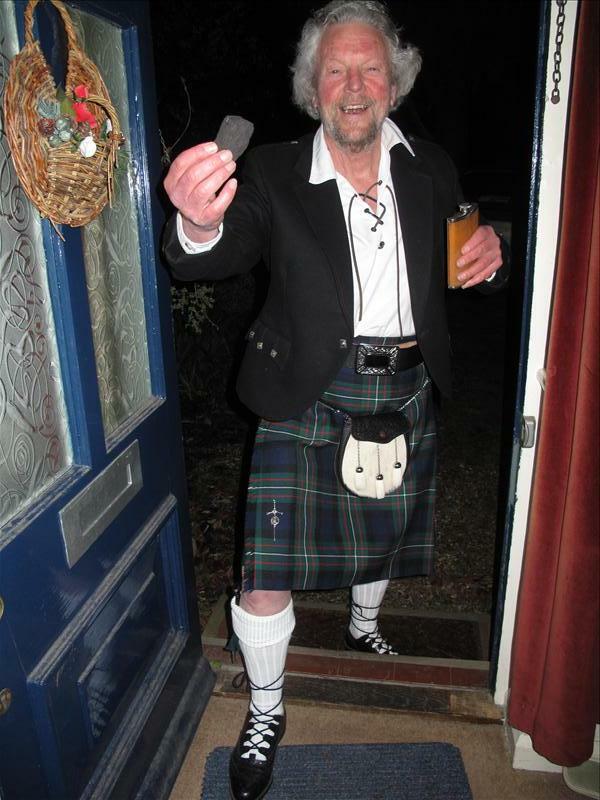 you did miss out one thing about Hogmanay and that is that the first footer also takes a piece of coal and the traditional greeting is, “Lang May Yer Lum Reek.” Thus during the year you will have food, drink and warmth in your house. Thank you, Isabel! I included the bit about the coal but had not heard about “Lang May Yer Lum Reek”. You must be a true Scot! 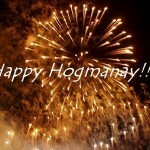 Happy New Year – or Hogmanay! Love this, Suzanne! Happy holidays to you, your bro and families!